Last year I visited Poonam aunty’s home-run organic dairy operation in rural Assam and learned how to make paneer. Although paneer making is an everyday event in my mother’s home, standing beside Poonam aunty in her kitchen that overlooked her green kitchen garden and her cow barn, was quite a different experience. Poonam aunty refined my recipe for paneer in a subtle way: allow the milk to come to a boil, add the vinegar, but don’t stir or touch the bubbling milk. 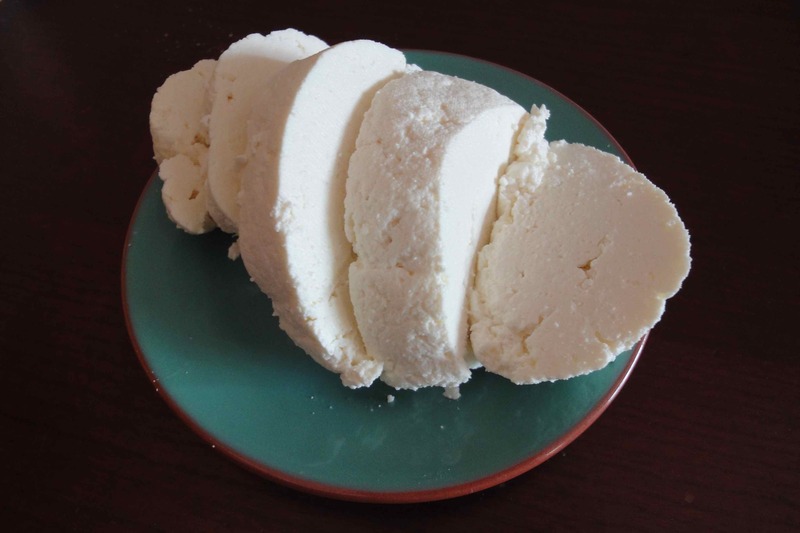 Soft delicate clouds of paneer will rise to the surface. 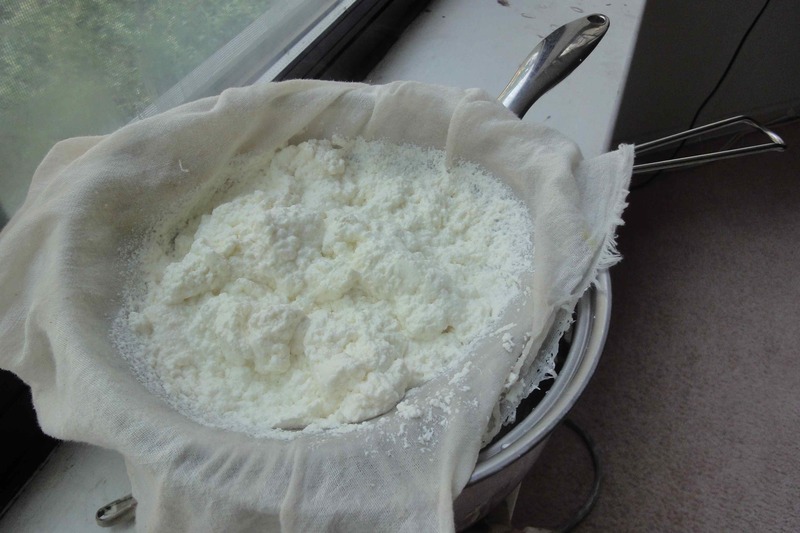 Strain, and tie up the cheese in muslin or cheesecloth for a little while to allow the excess water to drain out. Now whenever I make this fresh Indian cheese, I’m listening to her voice and breathing in the early morning smell of Assam in December. 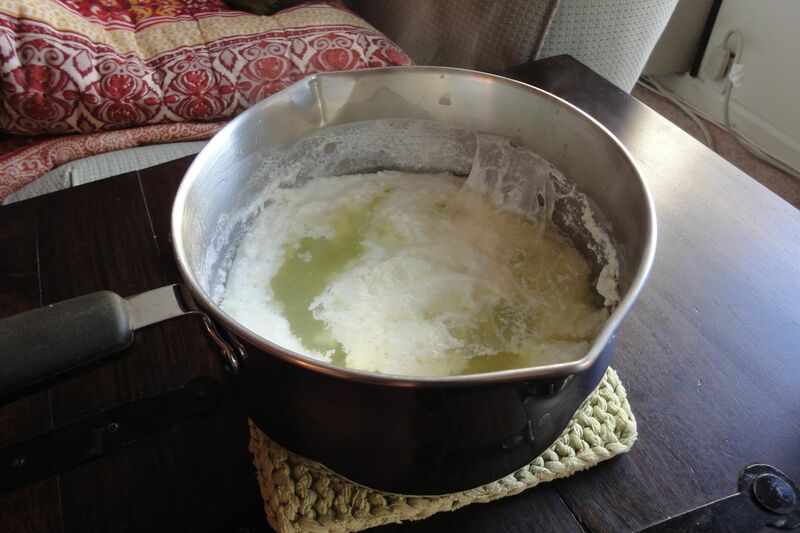 Allow a 1/2 gallon of milk to come to a full boil but watch the milk carefully so that it doesn’t boil over. Add 2-3 tbsps of white wine vinegar. Turn the heat down to a lower setting. Wait for a couple of minutes as the cheese rises to the top and the curds separate, leaving behind a greenish yellow liquid. If the milk is still fairly white, add a little more vinegar, cautiously. Try not to stir or touch the curdling milk. Turn off the heat and allow the paneer to sit for a minute or so. 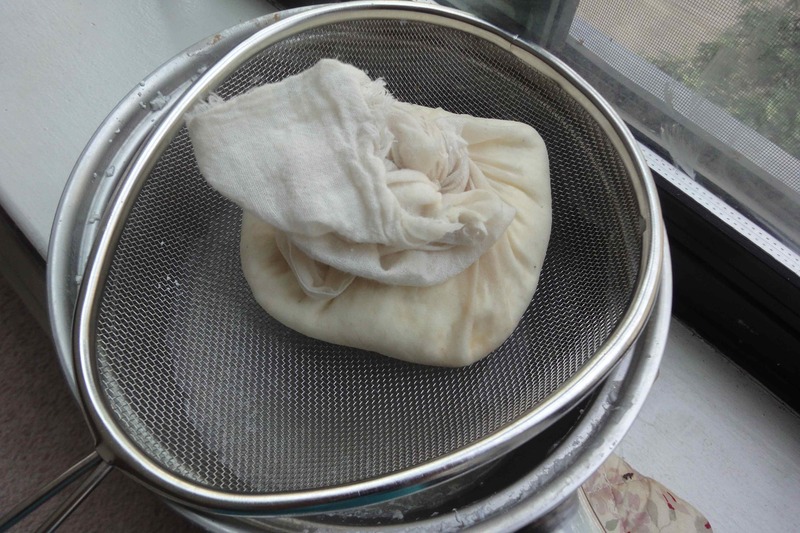 Strain the s0ft cheese into a strainer that is lined with a muslin cloth. Let drain for a little while, and can use as is. Optional: tie up the muslin cloth and hang it up for some time to make firm paneer.